“Education is what people do to you; learning is what you do to yourself.” These are the wise words of Joi Ito, Director of the MIT Media Lab. Ito is a big believer in now-ism, which, simply put, is the practice of jumping in and having a go, without over excessive analysis and too much planning. Now-ism is becoming a worldwide philosophy, supported by the rise of the internet, mindfulness and the speed by which we can communicate. So why should you care about now-ism? Well the simple answer is that now-ism gets you places. It is easy to stay in one place, carefully planning for “one day”, a magical time where everything will fall into place. But the thing with all this planning is that we often get stuck in that moment. Now-ism demands that you just dive and learn to swim when you’re in the water. 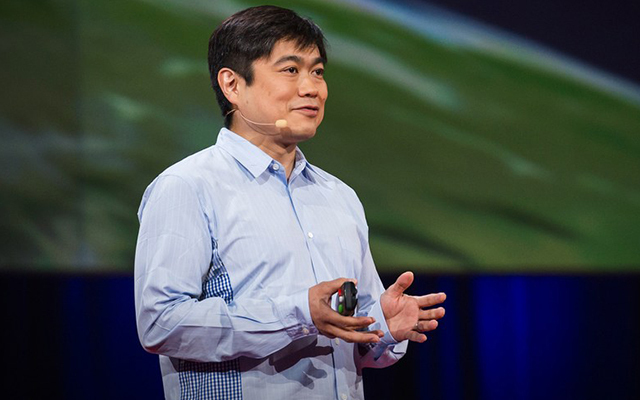 Speaking about the power of now-ism in a TED talk, Joi Ito describes the moment when a magnitude 9 earthquake struck Japan, and he, stuck in the U.S, was desperate for news of his family. Throughout the ordeal, Ito found getting data from authorities became an issue, so he just decided to jump in, take matters into his own hands, rope in other people, and start collecting and reporting the data himself. This diving-in, according to Ito, is the future. “We should be getting out there ourselves, and not keep depending on large institutions,” he said. What were your goals this year? Did you promise yourself that 2016 was the year you’d make changes? Or have you been promising that “one day” you’d do something? Maybe it’s time to embrace the future, to embrace now-ism, and just dive in. They say the only way to predict the future is to create it, so what are you waiting for? Take the steps you need to make your dreams a reality, whether that’s studying to further your career, getting a new job, going for a promotion, eating healthier, or even just pursuing a passion – there is no time like the present! If you enrol today in an Open Colleges course you can get started tomorrow. That’s right, it’s that quick! We believe in now-ism.